Soil supports life on earth, and is a dynamic living system. The microorganisms living in it are part of nutrient recycling especially carbon, nitrogen, sulphur and phosphorus. Bacteria are a major class of microorganisms that maintain the health and fertility of the soil. These microbes decompose soil, improve its structure which subsequently increases water infiltration and water holding capacity of the soil, and thus very essential for agriculture. 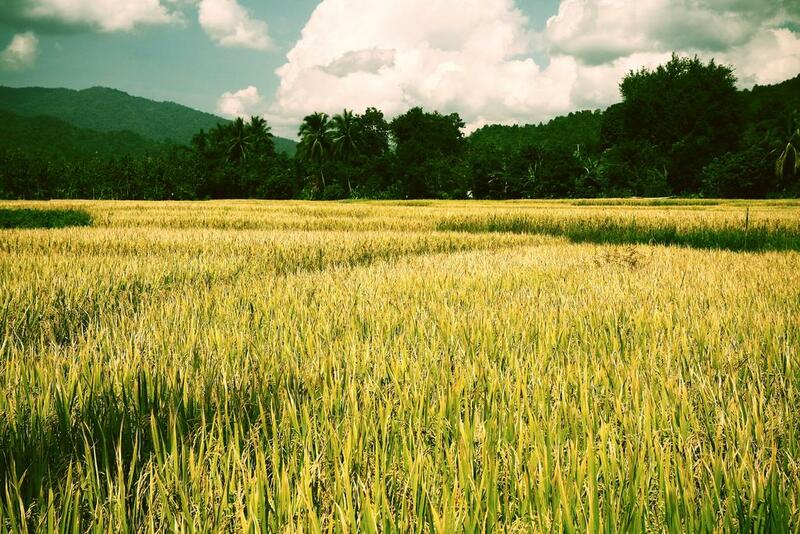 Rice farming is the largest single use of land on earth, for producing food. Rice is also the basic food crop and a part of national economy in India. Farmers often use chemical fertilisers to increase the production capacity. But frequent use of chemical fertilisers changes soil bacteria community structure and disturbs the ecosystem. A team of scientists at ICAR-National Rice Research Institute, Cuttack, led by Upendra Kumar, in collaboration with V V S R Gupta, Principal Research Scientist at Commonwealth Scientific Industrial Research Organization, Australia, have assessed changes that occur in soil bacteria and resulting effects on rice production due to continuous use of inorganic and organic fertilisers over a long period. The experiment was initiated in 1969 with two rice crops per year as a mono-crop in wet (July-November) and dry (January–May) seasons, except the dry seasons of 1984-1993. Six types of treatments were selected for the experiment - absolute control (no fertilisers), only nitrogen, nitrogen and phosphorus, nitrogen and potassium, nitrogen phosphorus potassium (NPK), farmyard manure, farmyard manure with nitrogen, and farmyard manure with NPK. Soil samples were collected from randomly chosen five places within the depth of 20 cm of each plot. Researchers then analysed of total organic carbon, total nitrogen, available nitrogen, available potassium, acid level and electrical conductivity of the collected soil samples. The team further conducted DNA extraction, sequencing, and data analysis of the samples. The team observed highest rice grain yield and straw biomass with farmyard manure mixed with NPK. However, grain yield and straw biomass decreased with use of continuous application of nitrogen and farmyard manure alone. The researchers report that application of NPK with farmyard manure increased the nitrogen, phosphorus and potassium availability in the soil as compared to other treatments. “We find that higher abundance of nitrogen-fixing bacteria in balanced fertilisers nitrogen, phosphorus and potassium (NPK) may be one of the reasons for the increase in grain yield and straw biomass, compared to treatment only with nitrogen,” Upendra Kumar told India Science Wire. The bacterial species evenness, which is the relative abundance of different species, was found maximum in the soil receiving a combination of organic and inorganic fertilisers - farmyard manure with NPK. The species richness of bacteria was found more in control plot, without application of fertilisers, whereas, the least was recorded in plot treated with nitrogen alone. In the NPK-treated plot, the relative abundance of beneficial bacteria like Proteobacteria, Bacteroidetes, Cyanobacteria were found more compared to other treatments. Higher abundance of nitrogen-fixing bacteria in balanced fertilisers NPK may be one of the reasons to the increase in grain yield and straw biomass, compared to N-alone treatment, say the scientists. Further, the team found the mineralization of carbon and nitrogen, and the activities of soil enzyme were higher in the soil treated with farmyard manure and NPK compared to others. The researchers have concluded that continuous application of NPK without addition of farmyard manure maintains both bacterial community structure and yield particularly under eastern Indian rice cultivation system. These findings can be useful to farmers and future researchers for the improvement in rice cultivation to mitigate hunger and poverty.